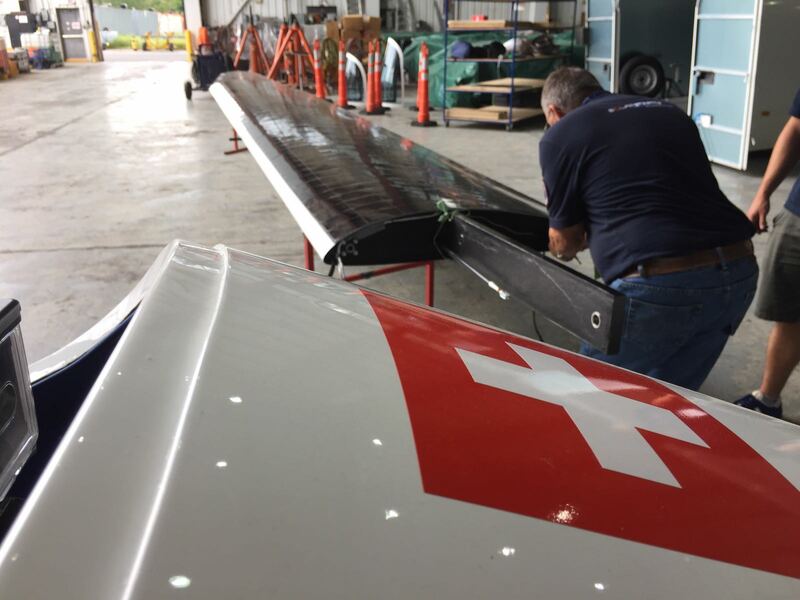 Last summer’s technical incident that saw the left wing break during a stress test at the SolarStratos Base in Payerne gave our technical partners and scientists a lot to think about. The last few months have been dedicated to adapting solutions and creating new wings capable of withstanding the altitude. These are currently in build and while the failure put us behind schedule, it has allowed us to add solar cells and make our wings even more efficient with increased energy capacity. We anticipate fitting the new wings to SolarStratos and starting to test them at the beginning of 2019. To fly our solar aircraft in the stratosphere means it has to be as light as possible while maintaining the dynamics required for the climb to high altitude where the pressure decreases the higher you go, until there is none at all. The various tests and flights carried out at low altitude have demonstrated that there is still work to do for the SolarStratos aircraft to reach the stratosphere. Our technical efforts are focused on improving the performance of the aircraft without increasing its weight – a permanent challenge! 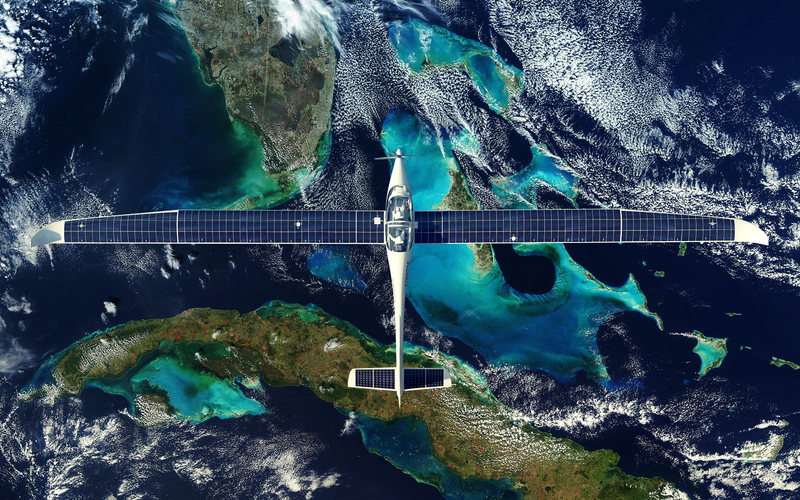 Currently the SolarStratos weighs in at 400kg, the team has managed to shed some weight and plans to lose some more. 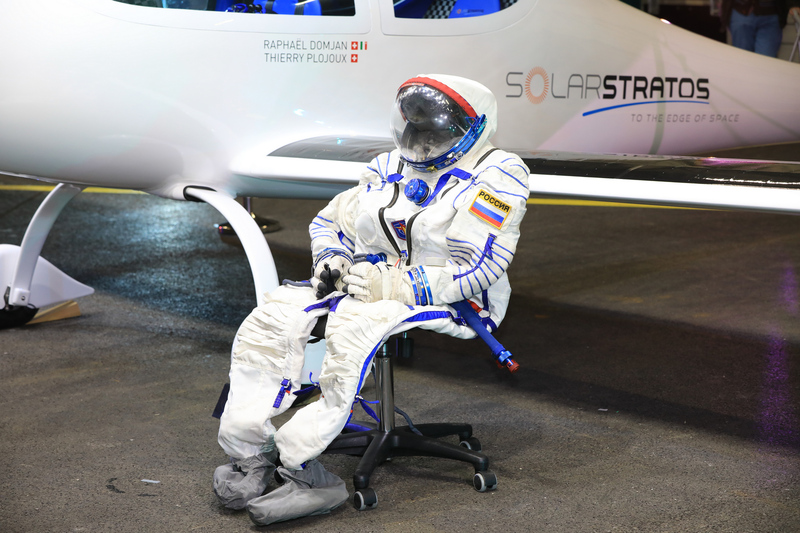 The all-important spacesuit will undergo a new round of tests at the beginning of 2019 at the home of our official partner, Zvezda, in Moscow. 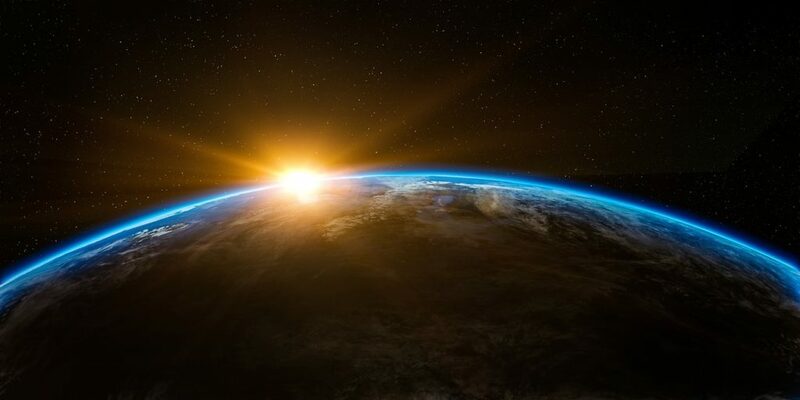 The tests will include checking that the various external connections that tether the spacesuit to the aircraft are reliable and resistant. With temperatures approaching -70 degrees in the stratosphere, the spacesuit is central to the survival of our pilot, any incident would have instantaneous and fatal results. SolarStratos recently spent a week at the Electronica Trade Fair in Munich, an international trade fair for electronic components, systems and applications. 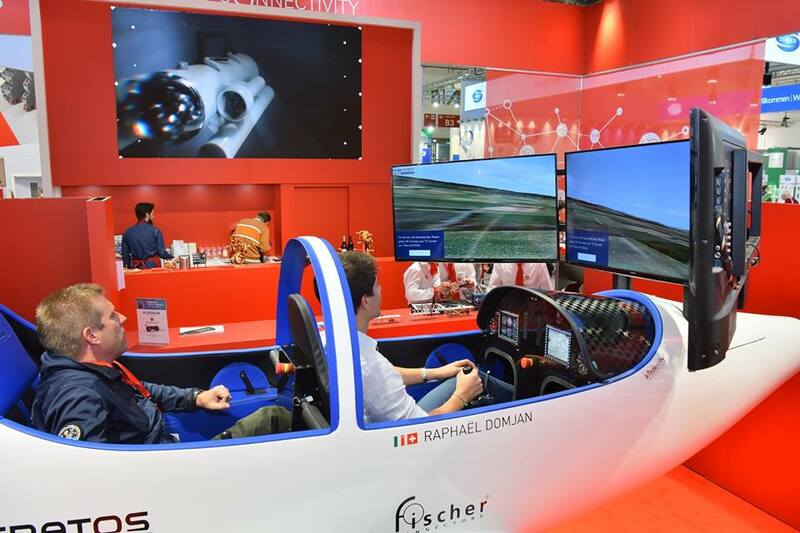 Invited by official partner, Fischer Connectors, Raphael Domjan and the SolarStratos team organised daily flight simulator demonstrations for guests of the event. Being at the trade fair gave the team the opportunity to witness the visitors’ enthusiasm for the stratospheric project first hand. With wing tests, two-man test flights and medium altitude flights on the agenda, plus Raphael Domjan taking the controls for the first time, 2019 will be a defining year. For the team the objectives are clear: the aircraft must be in a position to establish its first records during this pivotal year. The solar adventure online shop is open for business! The new SolarStratos online shop opens on the 1st of December – don’t miss out on dressing in the colours of the pioneering project. There are clothes and accessories and plenty of ideas for Christmas presents!